When was the last time you checked your inbox? Probably sooner than you’d like to admit. While email may seem like an archaic pastime, it’s still one of the best ways to communicate with your audience. Regardless of the next big thing that comes along, email will always be waiting to reign supreme once again. That’s why any business worth its salt should invest in email marketing. If done well, it can provide not only meaningful, but measurable results for your business and choosing the right service for you will help to ensure your efforts aren’t subjected to the spam folder. With no shortage of email marketing tools available, we’ve rounded up the best of the bunch to step up your game. Crafting the perfect email takes blood, sweat, tears – and time. Email marketing services are designed to make the process as painless as possible with customisable templates, scheduling capabilities, analytics and more. A good tool will help you build engaging emails that will resonate with your audience, as well as manage all your contacts and workflows in one place. What service you go for will depend entirely on your needs, business size and budget. Whether you’re looking for a basic text editor or something a bit more complex, there are a variety of options to choose from with different ways of using your contacts. While certain features of free email marketing tools may be restricted, they still offer plenty for small businesses to get their teeth into. For those that need a more comprehensive service, there are paid plans to suit every budget. So, who made the cut into our top five tools? One of the most popular tools, MailChimp offers an impressive array of features that are pretty easy to get to grips with. While most services offer a free trial before you have to buy, MailChimp boats a ‘free forever’ plan. This is particularly useful for small businesses with up to 2,000 subscribers, as you can send 12,000 emails per month absolutely free. This package includes the ability to set up automated email campaigns, build sign-up forms, access personalised reports, and even create Facebook and Instagram ad campaigns. If you need to send more emails than this each month, MailChimp’s subscription plans start from $10 for up to 500 subscribers. Paid plans also offer more advanced reporting and testing tools, as well as access to their support team. 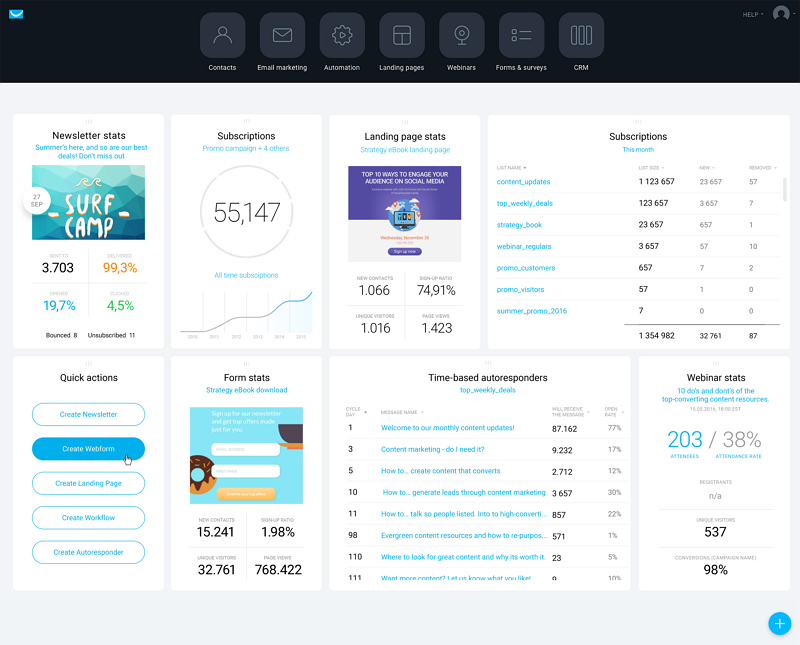 While these advanced plans are good, MailChimp really can’t be beaten when it comes to free email marketing tools for beginners. The simplicity of the tool can be a downside, however, if you’re looking to flex more advanced email marketing muscles. Changing default settings can be frustrating and requires some digging, as MailChimp prides itself on making the initial setup as easy as possible. The service also undergoes constant updates, which can be irritating – much like apps that always need to be updated on your phone. But, this shows that the team is always striving to improve the product, which can’t really be a bad thing. Starting from £10 a month, GetResponse is an investment for growing businesses. The platform offers a variety of useful features that go beyond simple email templates, such as the ability to build landing pages and host webinars to increase engagement and generate leads. GetResponse also includes marketing automation tools to help you create workflows and transform subscribers into customers. Of course, the email marketing tool has not been forgotten. 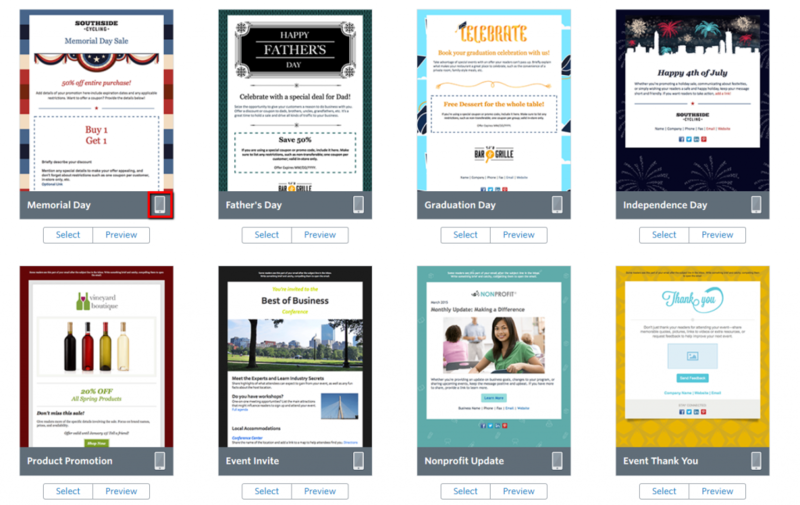 In fact, the service offers over 500 templates to choose from, complete with 1,000 iStock images to bring your emails to life. GetResponse excels at making the building process as easy as possible with a drag-and-drop feature, or you can opt to use HTML code if you prefer. With no free subscription, this service is more suitable for medium-sized businesses that will make the most of its features. Arguably, GetResponse is a little dated compared to its competitors and lacks some design functionality that would cements its place as one of the best email marketing services around. For instance, you can only use ‘web-safe’ fonts that can make your designs look a bit bland. 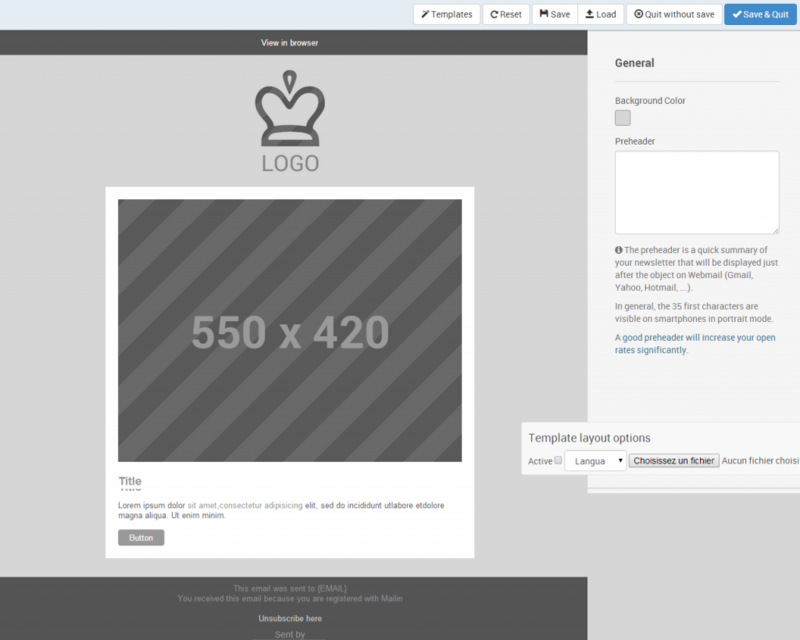 The user interface could also do with a makeover, but a new beta version of the tool suggests this is well on the way. If the name wasn’t inviting enough, the friendly logo should do it. Emma (short for “email marketing”) offers a lot of bang for your buck – considering the lowest price tag is $89 a month, you can see why. 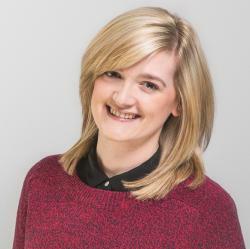 Emma prides itself on marketing automation and knowing when to send the right email at the right time. By accumulating CRM and sales data, Emma allows you to personalise and automate emails to your segmented subscribers. The service also facilitates dynamic content to make each email unique, as well as providing A/B testing so you can determine which design works best for you. 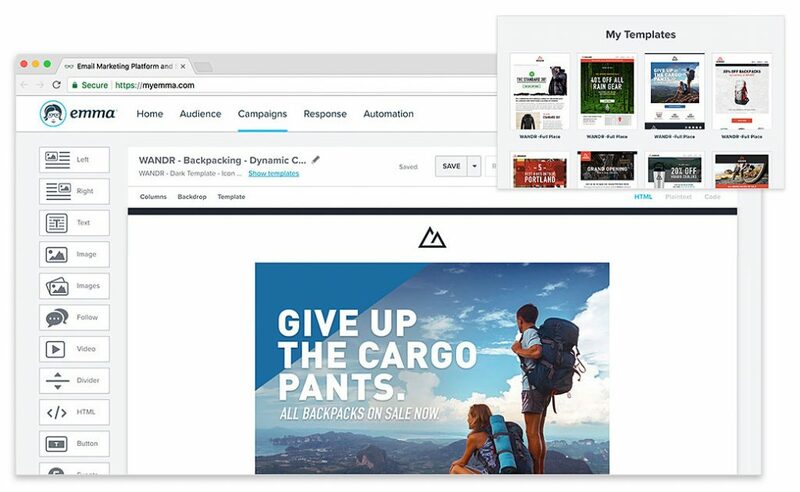 Paired with an attractive landing page builder and on-the-go analytics, Emma is an impressive tool for businesses looking to take drip campaigns seriously. Where Emma falls down, though, is limited formatting and design functionality. 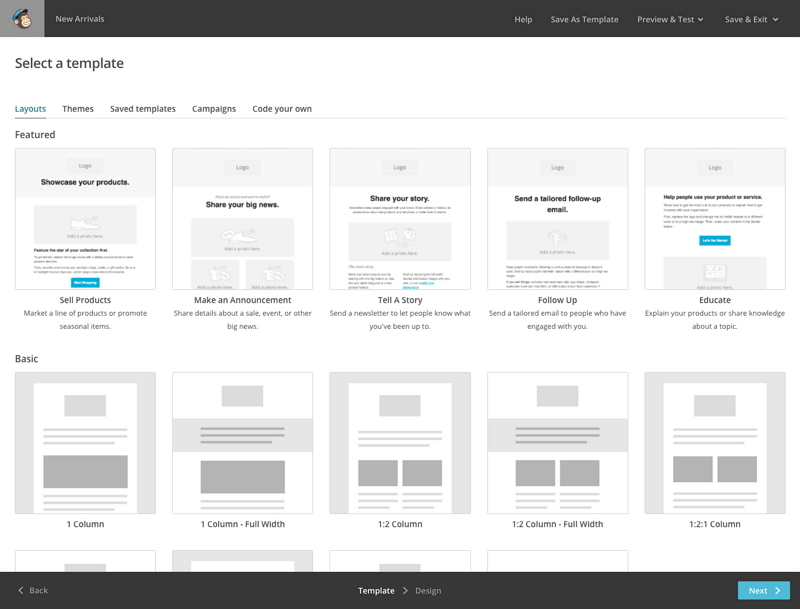 If may not be possible to get your emails exactly how you would like them to look, but that’s the sacrifice you have to make using templates. The support response time may also be a little slow for some users, as there is no live chat option available. Hailed as a true alternative to MailChimp, SendinBlue offers a completely free option to send up to 300 emails a day to an unlimited number of contacts. This package includes a large template gallery to build mobile-friendly emails using a similar drag-and-drop functionality seen on most services. You can also access the automation tools and contact manager to keep on top of your subscribers, as well as view real-time reporting on your efforts. A standout feature of SendinBlue is the ability to create SMS campaigns, which work much the same as email campaigns. You can import contacts, create filters, schedule text messages and analyse results with the same granularity. If you want to invest in a paid plan, starting from £15 a month, you’ll have no daily email limit, more reporting capabilities, no marketing automation limits, and more. While it is not as polished as MailChimp, it certainly emulates many of the same features that make SendinBlue a great choice from small businesses. However, the tool does not seamlessly use third-party integration, so you cannot upload your contacts directly from another source for instance. There is also no social media integration, which can be frustrating. Arguably, SendinBlue is not as easy to set as MailChimp either, but this will differ from person to person. An old-timer, Constant Contact has been around for well over 20 years now. But, it has earned its stripes as one of the most reliable email marketing services around, especially for small businesses. Starting at £15 a month, with a 30-day free trial included, you can send unlimited emails to your subscribers using a variety of drag-and-drop templates optimised for mobile devices. Constant Contact goes beyond your typical tool by allowing the integration of surveys, discounts, invitations, donations and more, in your emails. These go a long way in nurturing your existing contacts and attracting new ones to stay. Constant Contact’s automation service is also useful for gathering existing emails and personalising them, before sending them out to your cohorts at specified times. Add integration with others services like WordPress, Formstack and Hootsuite, and it’s easy to see why this tool has stood the test of time. While Constant Contact may seem like an affordable option upfront, the cost soon creeps up if you want more storage space, to increase contacts, and add more team members to the service. You are also limited when it comes to customising your own HTML designs, as the service tends to cater to beginners. So, who should you go for? What email marketing service you choose will depend entirely on your business. To help decide, ensure you know how many contacts you currently have, leave room for growth, and make a list of all the essential features you can’t live without. While a free service may have everything you need, don’t be afraid to invest in a service that will give you an edge on competitors and if all goes to plan, a higher return on that investment. What is Marketing Automation, Exactly? I will add sendx.io and autopilothq.com to the mix. Pretty good list nonetheless! Both of them have solid email marketing and marketing automation capabilities. SendX seems to be more SMB focussed with pricing similar to MailChimp. Autopilot, on the other hand, focusses on mid-market ( higher end ) customers. Such a good list, but I think you are missing one of the best tools the ActiveTrail, actually I just used their free trial and it feels good to use, so I decided to have their one year plan and the other thing that makes me feel good about it is their support that called me after my free trial, really cool and very comfortable to talk with their email provider.